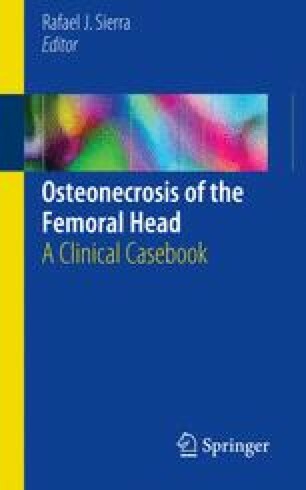 Radiographic collapse and flattening of the femoral head without joint space narrowing is considered stage IV change on the Steinberg classification of osteonecrosis of the femoral head (ONFH). In this stage of disease, subchondral collapse is evident without the presence of joint arthrosis. If femoral head collapse is minimal, non-arthroplasty intervention remains a viable option. The case presented highlights the treatment of Steinberg stage IV osteonecrosis of the femoral head with a vascularized fibular graft. As a hip preserving surgical treatment, free vascularized fibular graft (FVFG) yields more favorable outcomes than core decompression (CD) alone in patients with radiographic collapse.